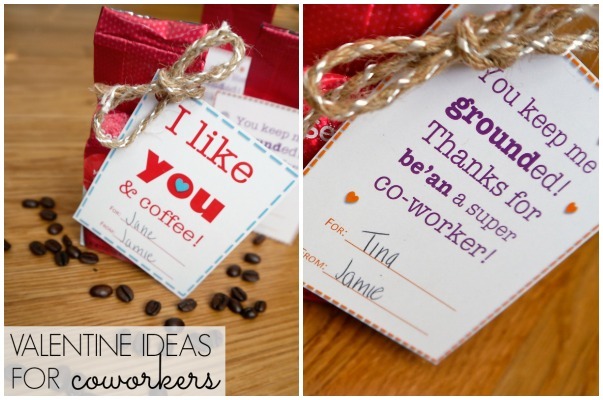 Valentine Ideas for Coworkers - C.R.A.F.T. Valentine’s Day is for everyone, not just the kids! I’ve got 15 free printable Valentines that are perfect for your adult co-workers, friends, teachers, and bosses in your life! This list includes something for everyone from diet coke to lottery tickets, and even a sewing kit. I gave my brother in law a sewing kit one year, and he loved it! Lottery tickets are my go to gift for holidays and birthdays. I typically use “I like you a whole lotto” or “I hope your birthday is a whole lotto fun”. Either way, it is sure to get a smile and you never know, you could make someone a millionaire! If you’ve got coffee lovers in your lift, this one is for you! 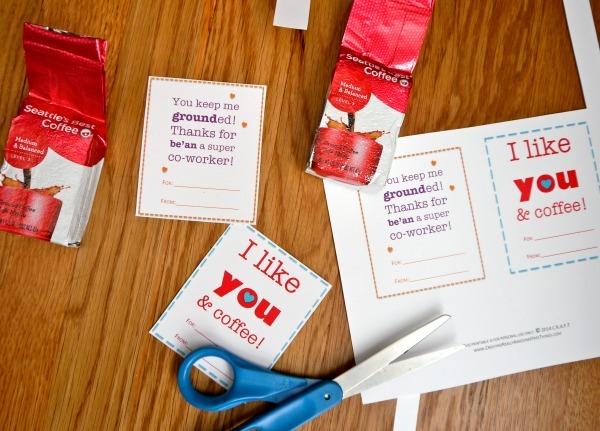 If you know your Valentine uses coffee pods, this free printable would work with those too. I had a hard time coming up with a cheesy saying for ground coffee. There are lots of fun ones for “lattes” and “mocha” coffee drinks. I decided to crowd source, and got tons of great feedback via C.R.A.F.T. facebook. If you’re looking for more coffee puns, check out this awesome list. 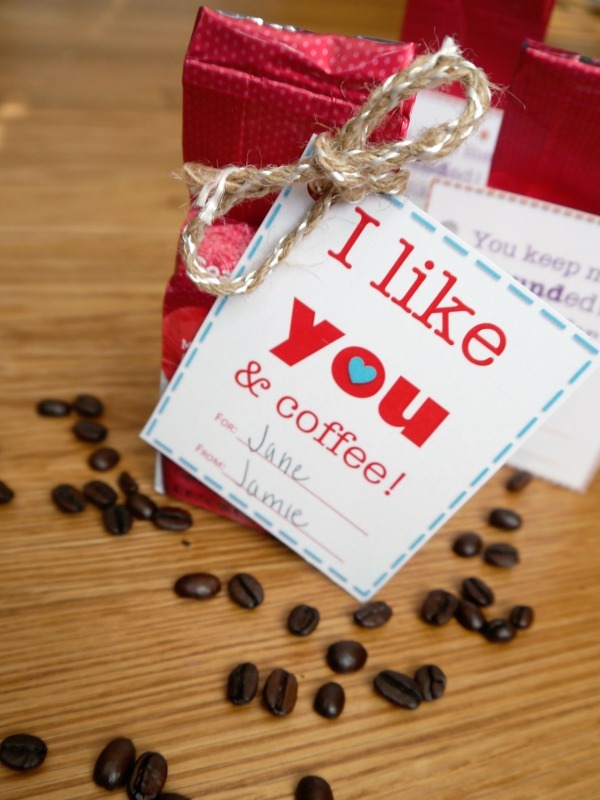 To make this Valentine, download the “I like you and coffee” printable here, print them out on card stock, cut the sheets into 4 Valentines, and attach to a bag of tasty beans with tape or use a hole punch and twine. Easy freakin’ peasy and your co-workers will love you forever. Or neighbors. Or friend. Or teachers. Or husband. Or Anyone who loves coffee! 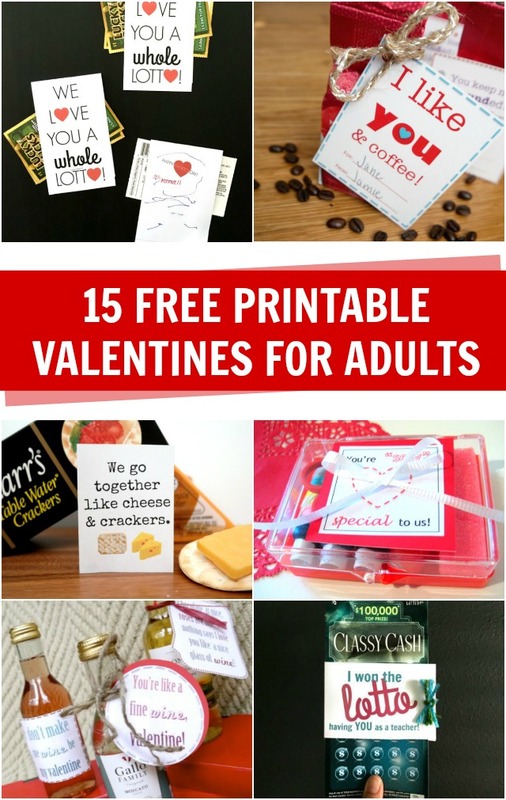 If you’re looking for even more Valentine ideas, check out this post with 150+ clever Valentine sayings paired with small treats. 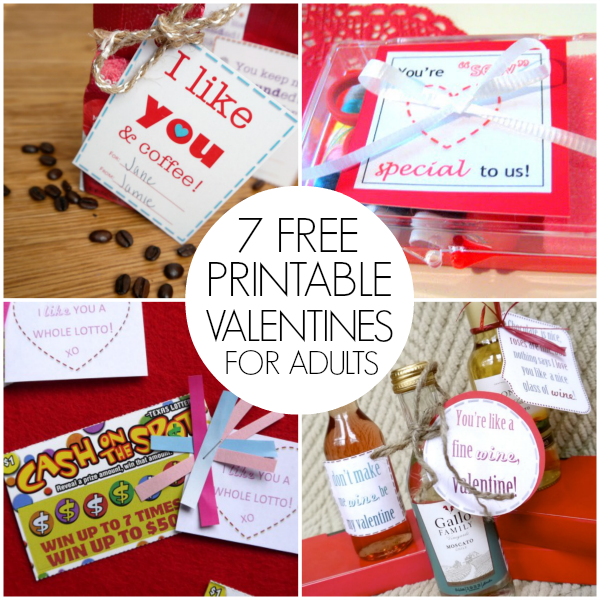 These are the best ideas I have seen, not only for children’s valentine’s, but also adults. Cant wait to try them out on the kids and my Secret Pal. Thanks for using your brain.